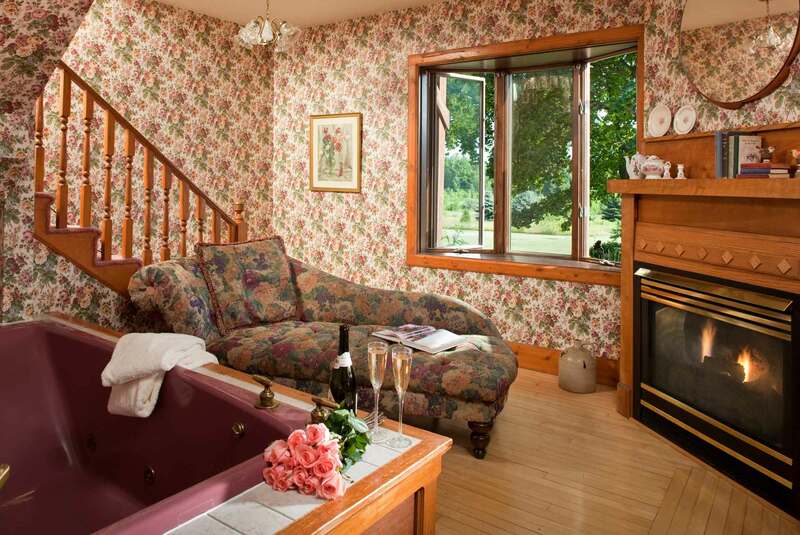 This elegant suite is on two levels. 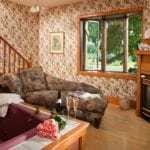 The lower level is the sitting room with a gas fireplace, double whirlpool tub and fainting sofa. 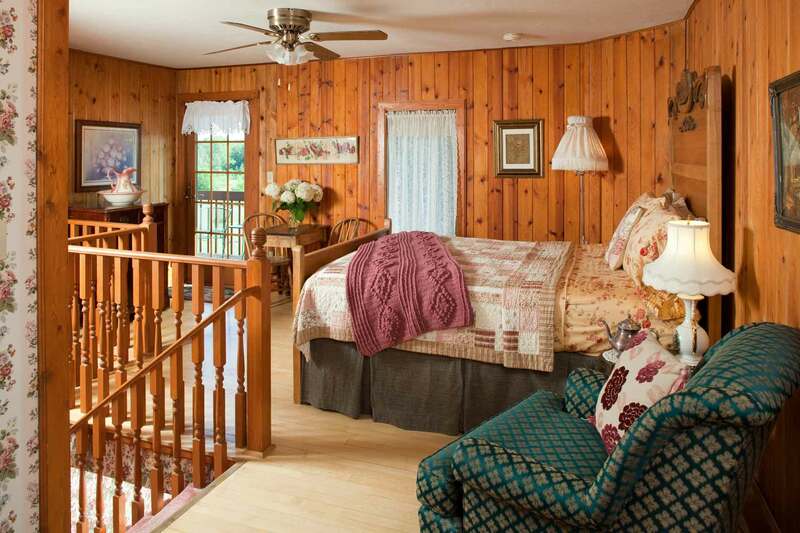 The upper level welcomes you to a lovely bedroom with a queen sized, antique, high-backed bed. Just beyond is a lovely, raspberry-colored bathroom and adjacent sun-filled dressing room. 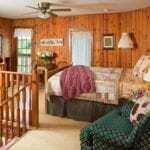 Next to the bedroom is a private entrance and terrace, which overlook a sun-filled flower garden.